The ability to change direction is at the forefront of sports performance; and for many field and court sports, it’s more so lateral movement than linear that creates separation from a defender. Looking to improve your first step quickness, knee stability, and reduce the risk of injury? 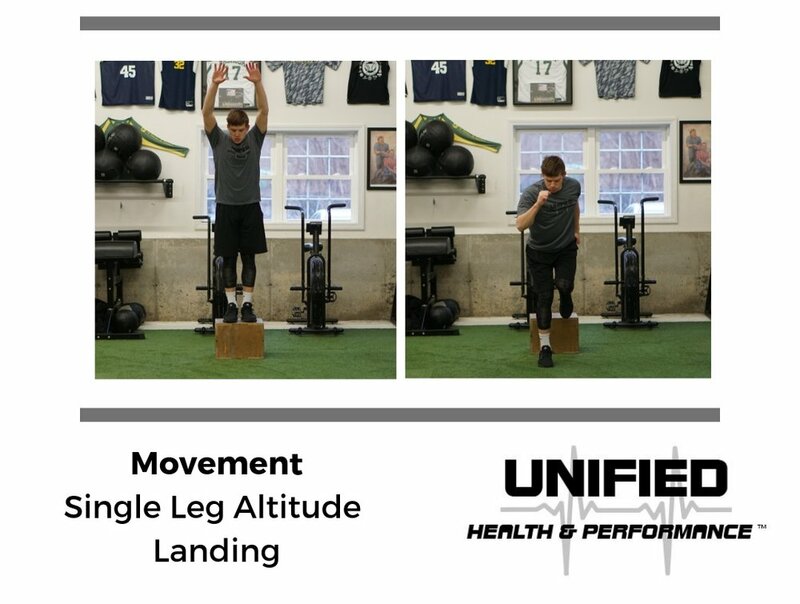 While lower body strength plays an important role, the appropriate progression of exercises that emphasize proper landing mechanics and elasticity can teach an athlete how to utilize the strength that is gained through lifting. As you rise onto your toes, reach over head. In one motion, briefly leave the ground, snap your arms down to your side, and absorb the landing on one leg. Focus on the knee alignment and correct coordination of your arms. All of the same technique points from #1 apply. By starting on a box, you’re increasing the demand of the single leg landing. This is in preparation for more dynamic single leg jumping movements. Now that you’ve drilled single leg landing in a predictable manner, these Hurdle Hops begin to integrate lateral movement into the exercise to further challenge knee stability. “With Stick” directs the athlete to focus on force absorption mechanics and not the speed of the movement. “Plyometric” is a term used to describe a manner of jump training that focuses on the absorption of an eccentric force (landing) and a subsequent rapid contraction of a muscle (jumping). The period of time that the foot is in contact with the ground is called the amortization phase. The goal of plyometric exercises is typically to minimize this amortization phase (ground-contact time, or GCT) to train elastic qualities of the muscle group. 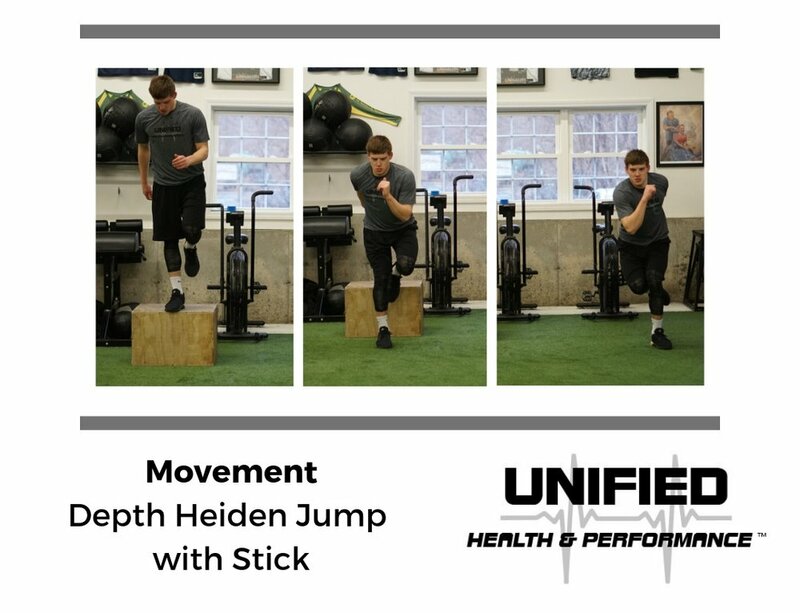 In this case, the goal of a Plyometric Heiden Jump is to transition quickly between single leg jumps while maintaining proper knee alignment and arm action. 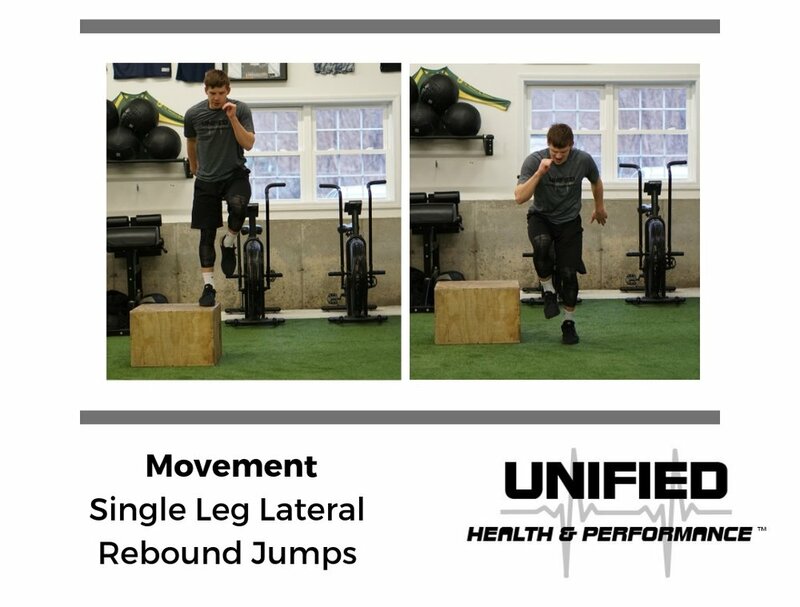 Single Leg Lateral Rebound Jumps are a plyometric exercise that can be progressed in two ways: by reducing GCT at a given height or by increasing the height of the box that you step off of and jump back up to. This last variation ties several of the previous movements together. The athlete will step off of the box, absorb the landing with proper knee alignment, and quickly transition into a Heiden Jump, sticking the second landing on the opposite foot. This can be progressed by reducing GCT, by increasing the height of the box, or by performing the Heiden Jump as a “double” (right to left and then left back to right). 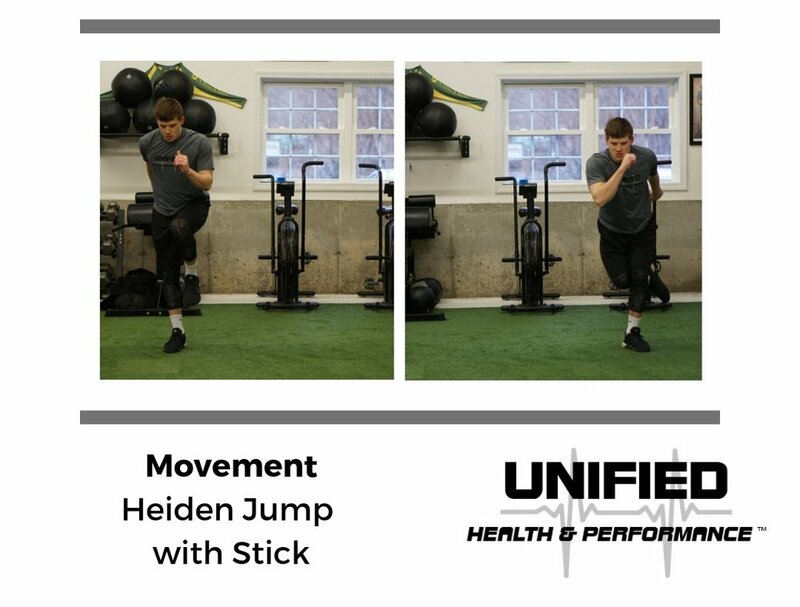 Whether an athlete can progress through a given exercise is influenced by several factors: training age, strength, and predisposed athletic qualities all dictate whether an athlete needs more or less time with a given movement. It is important that the athlete understands the purpose of the exercise and has the prerequisite level of strength so that they can perform it safely and with the proper intent. Stay up to date with our content by subscribing above to the blog. Explore our website and Instagram to see whether we could help you reach your fitness and performance goals.